Delicious, indulgent food is practically a must around the holidays. Not surprisingly, Michael Symon knew just what recipe he wanted to share during a fun holiday-themed episode of The Chew. 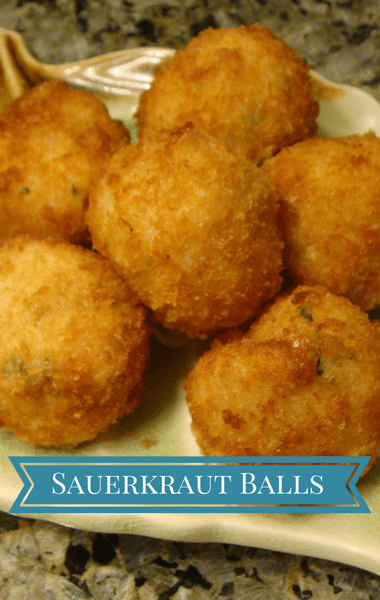 His crispy Sauerkraut Balls have just the right amount of crunch with an explosion of flavor. He used turkey sausage, claiming it “lightening things up” but there’s no denying this recipe isn’t exactly diet-friendly. Fortunately, it’s super easy to put together and as long as you share with friends and family, there’s nothing wrong with treating yourself! To get the recipe, click next page.